just follow your feet....: training camp! The whole goal of my early season racing and travelling around the world was to get into Madrid WCS and the big-money ITU HyVee race....and I failed on both accounts. I just missed getting into Madrid WCS. It seems if I would have placed one place higher at ANY race I did this year I would have gotten into the race. 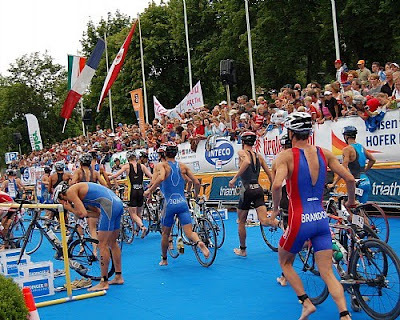 Madrid is the first big race in Europe this year, first race of the 2012 Olympic Qualification, and the first completely filled ITU WCS race of the year. After my initial disappointment of not getting in, I decided to look at the positives: an 8 week training block! There is literally no ITU racing anywhere near the US in May or early June, so for the first time ever, I will put in a big block of uninteruppted training in the middle of the season. I just finished up the first 4 weeks, and have to say that my training times/indicators are really good. Over the next four weeks, I will do some local running races to boost the confidence and hopefully set some new pr's. 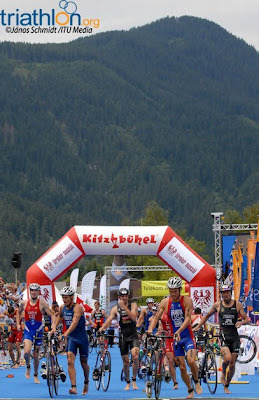 the focus of training/racing over next 2 months: Get back to this race (Kitzbuhel WCS)! good to hear you'll race Coteau. It is a great race in a small town, plus you can practice up on your franglais!